Scheduled maintenance and prompt service are essential to keeping your INFINITI luxury car, crossover, or SUV running in flawless condition. 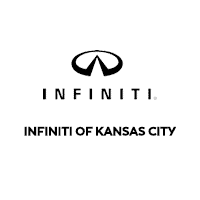 INFINITI of Kansas City in Merriam, KS has a full service auto repair center staffed with factory-certified technicians ready to keep your pride and joy in pristine condition. Do you have any questions for our INFINITI service team? Don’t hesitate to give us a call at (816) 941-0770 or use our online contact form to get in touch. Your INFINITI has been meticulously engineered to provide automotive excellence, inside and out. To keep your INFINITI car, crossover, or SUV operating optimally, it’s essential to keep up with your regularly scheduled maintenance. Our factory-trained technicians have the experience and know-how needed to keep your INFINITI running and performing just as well as it did when it left the showroom. Schedule your INFINITI maintenance appointment at our repair center in Merriam, KS by following the link below. Are you looking for the perfect INFINITI OEM part or accessory to repair or personalize your car, crossover, or SUV? From roof racks to sports exhaust systems, our INFINITI parts catalogue has everything you need to stand out from the crowd. Not sure which part you need? Our team will help you every step of the way to ensure you get exactly what you’re looking for. Many of our clients have questions about how they can keep their INFINITI in peak condition. To help you stay well-informed, our service experts have compiled key luxury car service FAQs below for your perusal. While your exact interval will be in your owner’s manual, the general rule of thumb is every 3 months or 3,000 miles. All cars vary depending on a range of factors, but brake pads should be replaced between 25,000 miles and 50,000 miles. Please consult your owner’s manual for your vehicle’s exact interval. Your tires need to maintain treads that are at least 2/32-in. deep to provide proper traction. To be sure your tires are in adequate condition, place a penny headfirst into your tread. If you can see the top of Abe Lincoln’s head, you need new tires immediately.